One of the editors of AOPA Pilot magazine got in touch with me recently to ask if I had any potential article topics for the magazine. I was flattered that someone in his position would even be interested in my thoughts on the matter. I’m nobody special, just one in a long line of aviation-centric writers on the interwebs. I’ve often thought about how the progress of automation might endanger my career prospects, but I sincerely doubt it’ll make an impact until I’m ready for retirement. Military drones and automated cargo aircraft are one thing, but it’ll be a long time before high-end charter customers — not to mention the Federal Aviation Administration — will be ready to sign off on a conveyance which flies without anyone up front to mind the store. Next, I proffered the idea of an article on techniques for reducing the ridiculously high cost of flight training. I know it’s in vogue to say that cost is not a factor in the high student dropout rate, but virtually everyone I’ve spoken to who’s stopped flying (be they a student or a long-time certificated pilot) has told me that there are three reasons for their self-grounding: the cost, the cost, and the cost. It got me thinking about writing an article because many of my ideas for conserving greenbacks differ from those you’ll hear elsewhere. First off, let me say that there’s no magical technique for reducing the cost to a pain-free level. Unless you go the military route, it’s going to be expensive. It was costly a century ago when Wilbur and Orville were signing the very first pilot certificates, and it’ll be likewise a hundred years from now. The financial investment will always be a bitter pill to swallow. In a perverse way, that makes clearing the hurdle somehow even sweeter when you finally reach the summit. 1. Fly frequently. That means three to four lessons per week, if not more. You see, a certain percentage of those lessons will naturally get cancelled due to illness, weather, mechanical issues, work conflicts, etc. So planning 4 lessons per week might net you an average of 3. Maybe less. People who can only fly once a week will take two to three times as long to earn a certificate because it’s very hard to retain the skill, experience, and information gained from each lesson. Flying frequently is one of the easiest ways to economize, believe it or not. Why don’t more people do it? Ironically, it’s because of the cost. Sixteen lessons a month will eat into your wallet something fierce. By training less frequently, however, you end up spending far more money and time in the end, not to mention raising your odds of dropping out all together because the progress can be frustratingly slow. There’s a lot to be said for momentum, for seeing quick progress, and the excitement, focus, and energy which accompany it. Can your trainer do this? 2. Fly a tailwheel. 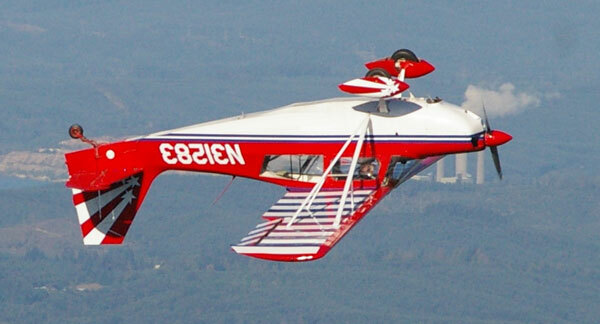 A classic airplane like a Cub, Champ, or Citabria will build the highest level of stick-and-rudder skill, and the aircraft themselves tend to be simpler. Unlike most late-model airplanes, there are fewer bells and whistles to deal with so your training time is reduced. Less complexity means less stuff to break. These charming birds also burn little fuel. They’re crazy fun to fly. They are approved for spins (and as regular readers are no doubt aware, I’m a big proponent of spin training) and aerobatics so you can take the unusual attitude training to a more realistic place. 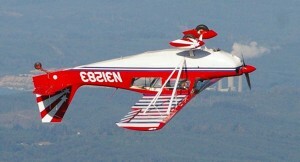 If a tailwheel’s not available, a cheap LSA is the next best alternative. 3. Pass the FAA knowledge test in advance. 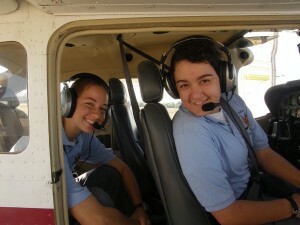 Take a private pilot ground school course online or at a community college where the cost is low. Flight training relies on repetition. By completing your FAA knowledge test (aka “the written”) before jumping into the airplane, you’ll spend less money on ground training from a CFI because you’re learning everything for the second time instead of the first. It also means the knowledge test is out of the way and so is one-third of the FAA testing you’ll need to obtain your certificate. This is where I learned to fly. 4. Pick a quiet airport. 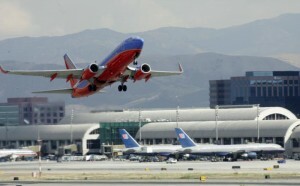 I learned to fly at Orange County’s John Wayne Airport, one of the busiest airfields in the country. There are big advantages to training at a busy airport. I’m comfortable with heavily congested patterns, wake turbulence avoidance, complex airspace, flying with highly dissimilar aircraft, etc. 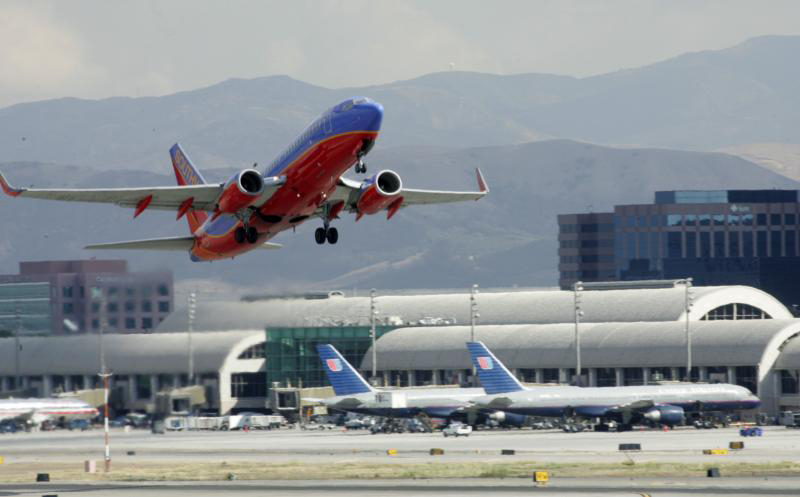 But that sort of airport does create longer taxi times, occasional delays, and because it’s in a high-priced metropolitan area, it’s going to cost you more to train there. Getting comfortable with the busier airports can be done once the certificate is completed. If your goal is to obtain your initial pilot certificate for the minimum cost, a quieter home airport can help make that possible. 5. Learn through a club. An equivalent aircraft should be 10-15% cheaper because flying clubs are non-profits. It’s true that without the profit motive, the level of service might not be quite what you’d get at a traditional flight school, but thankfully many flying club instructors are involved in teaching because they love it rather than for the financial remuneration. 6. Lease an aircraft. I’ve had two students who’ve gone this route and it worked out well for both of them. The recent recession has left more than a few aircraft owners with a bird they want to sell, but with prices dropping, oftentimes they can’t move the plane. Meanwhile, they’re still paying for the loan, taxes, hangar, insurance, and maintenance on a depreciating asset. The upside is that it’s possible to get a great deal on a lease these days. If you’ve taken my advice from item #1 and are ready to train intensively, with the proper terms, leasing an airplane for a couple of months will allow you sufficient time to get it done, and it will remove the need to compete with other renters for flight time in your favorite airplane. 7. Ride shotgun. When you’re not taking a lesson, see if you can ride in the back seat while another student is learning. Any instructor will attest to the eye-popping didactic experience you’ll get by simply watching someone else because it’s what they do every day. From the back seat, you’ll watch someone else botch maneuvers, struggle with navigation, mangle radio calls, and make dozens of other common mistakes. The best part of a “ride-along” is that in some ways, you’ll learn more than the student because you’re not preoccupied with flying the airplane and can process more than he or she can. You’ll also be providing a service to the student: your extra weight will give them a chance to see how the airplane performs with extra weight and a different center-of-gravity location. 8. Get the ‘Net. Today you can access hundreds of free online courses from the FAA, AOPA, and others. Initially, web-based offerings were weak and I didn’t recommend them due to low quality, but they’ve improved dramatically in recent years as the importance and utility of the internet has led major aviation organizations to invest in their digital catalog. 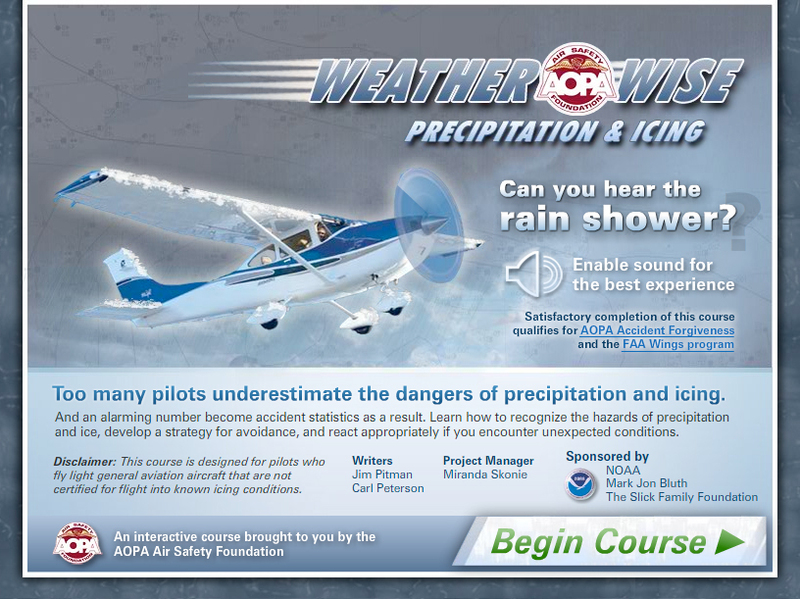 Now, you can learn about weather, airspace, aerodynamics, navigation, aircraft systems, and any virtually any other topic you can think of. Totally free! This sort of learning used to require reading from a book, sometimes a very old and dry one. Modern online courses are rich multimedia experiences whose interactive nature and high production values are more likely to keep you engaged. They’re also easier to update than a physical book, so you’re less likely to be receiving out-of-date information. 9. Save up. Build up a sufficient fund to complete training before you begin. This can prevent one of the biggest problems in training: lost momentum when you have to take a long hiatus because you ran out of money. As a 6,000 hour pilot, I can take a month off and not lose much of an edge. But for someone with 60 hours, it’s a lot different. I’d equate learning to fly with running a marathon. Distance training demands a disciplined schedule for your training. 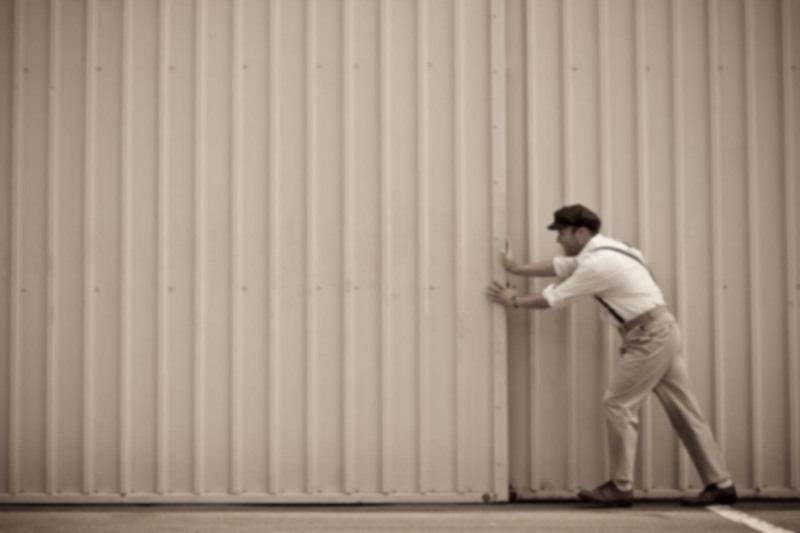 If you take a week or two off from running, once you get back out there you’re likely to find that you’ve taken such a step backward that it’s tempting to quit. The mountain just got a lot taller, if you will. It’s discouraging. Flying is much the same way, except the stumbling block is often financial in nature. You can prevent that by ensuring you have adequate resources before you begin. It’ll also allow you to fly more frequently (see tip #1). 10. Make friends. I’ve been able to fly TravelAirs, Stearmans, SR22s, Saratogas, T-6s, RVs, and many other airplanes gratis because I got to know people. There’s no way I could afford to fly any of those airplanes if I’d had to pay retail. Flying is a social activity, and those who fly like to be around others who are like-minded. So hang out at the airport and get to know people. Act as a safety pilot. Offer to buy lunch. Do some hangar flying. And make friends. You never know where that will lead. 11. Learn to fly gliders first. No other type of flying gives you the same feel for the stick and rudder and keen insight in the weather. Flying through a club gives you great value and saves expensive hours behind the yoke of a Piper or Cessna. A great idea, Mark. I only wish there were more places to get in on the gliding fun in the U.S. For example, here in the Los Angeles basin there’s only one spot left where glider training takes place — Lake Elsinore. It’s pretty far away and only operates on weekends. I got my commercial glider rating back when there was a dedicated glider operation at Hemet Airport and it was possible to train there any day of the week. For people in the northern part of the basin, there’s a relatively new glider operation about an hour and a half north of downtown L.A. called SoCal Soaring Academy. Even so, you’re looking at a three hour round-trip by car for each lesson. Ugh. The other operations, like Sky Sailing in Warner Springs or Caracole Soaring (north of Edwards AFB) are even further away. On the plus side, California is home to some of the best soaring conditions in the world, especially up north were you can pick up mountain waves and fly high into the flight levels! Great article Ron! Those are excellent tips that you won’t know about unless someone tells you. Love the “fly a tailwheel” part! This definitely can give a leg up to someone in training! I completed Sporty’s complete learn to fly course and averaged a 97 on the practice test’s. I learned so much just from that course and have applied it to Microsoft’s Flight Sim X ( I know, its not the same as real flying). In the fall of 2014 I will be attending Spokane Community College for their Aviation maintenance course, I’m 48 and taking a career change in life . They also have aircraft and flight training available. Moral of the story is a person may be able to cut cost’s by checking into a CC in their area for low cost training, especially if they are a current student. Keep up the good work Ron and see you in the skys someday.